Nokia’s navigation service OVI Maps is now free. This is great news, and the only correct move for Nokia after Google announced Maps Navigation in October last year. But unlike Google Maps Navigation with its current limitations (it requires an Internet connection, is only available on the latest Android builds and only in America), Nokia is now offering free turn-by-turn voice directions in over 70 countries worldwide and in 46 languages, that you can enjoy even without an Internet connection. 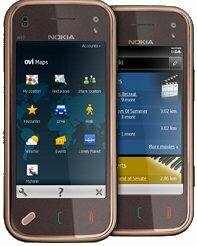 The new Ovi Maps is apparently not available for the Nokia N97 yet, but will arrive shortly. Though I’m afraid those sporting a N900 will have to do without, since Nokia is focusing on bringing free navigation to the next generation of Maemo devices. I wonder what this will do to Garmin and TomTom, whose stock plummeted after Google Maps Navigation was announced. Free is hard to compete with, and it must be harsh times for GPS navigation companies at the moment. I remember Steve Litchfield’s statement at AllAboutSymbian.com back in late November: “Make Ovi Maps Navigation free. Right now. To all”. Luckily, he got what he wanted. Head over to Nokia’s official OVI site for more information.